This is a story of the political elite, the very elite, one of the men behind the stage pulling strings. His very name—Axel—says that he is one of the men other men pivot around. Like most of Ward Just’s short stories from Flaubert, however, it is also filled with sadness. In fact, if someone were to describe the book to me, I would not expect to enjoy reading it. But I did: Just is a very good writer, the rare writer who can make sad Stranger-like protagonists interesting to read about. Washington is a town of secrets, favors, and people who know where the favors are buried. And he takes his characters seriously. When he writes about the dangers of communism, the insidious spread of Soviet hegemony and the leaking of freedom from the world, the perspective he writes from is one that believes it. Yet when a Pole warns a practical man that their estimates of Soviet oppression and mass murder is low by a factor of four, and the hearer disbelieves it, attributes paranoia and irrationality to the man, Just does not let his 1996-era knowledge that the Pole is right color his treatment of the practical man’s perspective. The bulk of the story is about the people, however, not about the politics; the politics—the lead character is, as far as I can read between the lines, part of the initial group that started the OSS and continued it as the CIA—is there only as a backdrop to the semi-generational story. The book starts with Axel Behl’s father, and ends with his son, all living at Echo House. From some perspectives Axel is the main character; from others, his son Alec is the main character; the sense of Alex as a person is often filtered through Alec’s view of the man. There are crises, but they’re all in the background, moving from decade to decade, generation to generation. It’s a great story, and beautiful to read. In response to The Congressman Who Loved Flaubert: Sad, autumnal reminiscences of power. If you enjoy Ward Just, you might also be interested in The Congressman Who Loved Flaubert. If you enjoy Washington, DC, you might also be interested in Netflix lobbies Washington, Google lobbies press, Was Weinstein treated better than Spacey because his accusers were women?, Washington Goes to War, Parliament of Whores, Inside the Beltway: A Guide to Washington Reporting, and Advise & Consent. 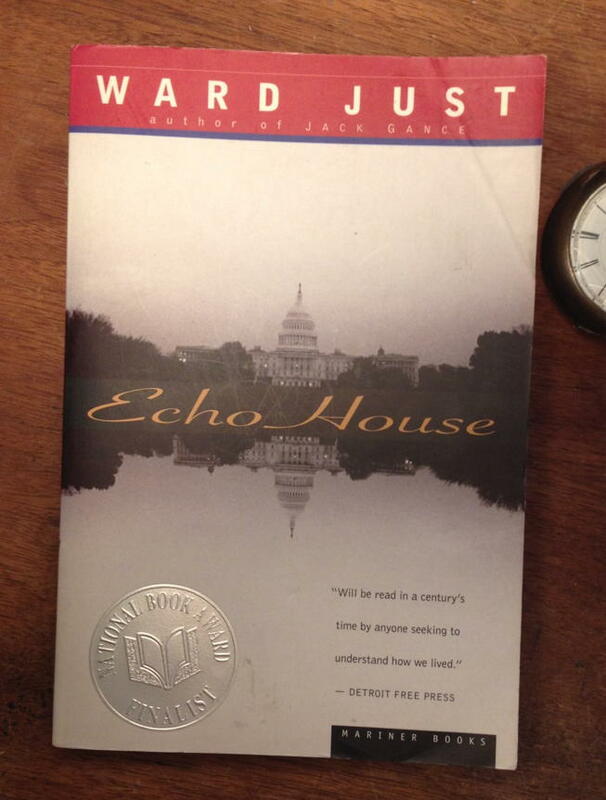 Ward Just has written a story about the lives of the people who bury secrets in DC. Echo House last modified November 9th, 2015.